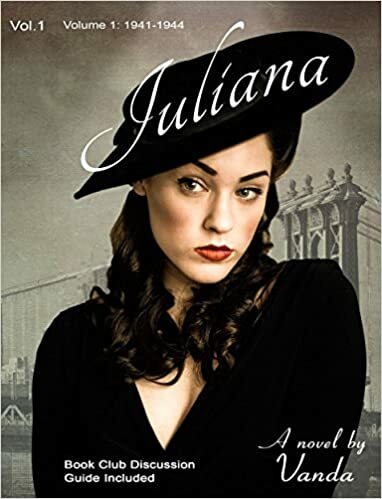 Juliana by Vanda is an interesting book that follows the lives of a handful of men and women who live in New York city in the early 1940s. The characters are alluring and the tale is poignant. You definitely don’t want to miss this one. The main character is the story is Alice “Al” Huffman. Al leaves her small town family home and moves to NYC. She is accompanied by her childhood best friends, Aggie, Danny & Dickie. They plan to take Broadway by storm and fulfill the dreams they have had since grade school. Al is naive, she is thoughtful, and she is kind. Her evolution into her true self is amazing to read. She is a wonderful character, who is by no means perfect, and makes many missteps throughout the book, she a compelling main character. Al and her gang meet Maxwell P. Harlington the Third on one of their first nights in the city. Upon meeting Max, life for the three, especially Al, changes forever. Max is a magnetic character. He promises to open doors for the young friends, which Aggie and Danny jump right on. Al is a skeptic, and she has no qualms putting her concerns of Max’s abilities right back in his face. Max and Al’s relationship continues through the book, growing as time goes on. At times they are harsh, contentious, and very critical of one another, but they have a mutual respect that continues as life and new characters weave their way into the book. Juliana is another character who is a main player in this book. She is an absolutely fascinating woman. Juliana is a singer, a great one who has not reached the peak of her stardom. She plays in well-known dives throughout the city but has not reached the main stages. She is rich, she is upper-class, she is married, and Al is hooked on her from the very first moment she hears Juliana sing. Their relationship is a push-pull force that neither can deny but is not always wanted. Meeting Max and Juliana changes Al forever. She is introduced to a world of people that she never knew existed. One she cannot deny knowing matter how many times she says she is not a lesbian. This is a great read, and I was hooked right from the start. Vanda does a wonderful job of pulling the reader right in and holding you in the story. I highly recommended this book, you will not be disappointed. I cannot wait for the sequel!